Next Monday will be the first trading day (FTD) of March. 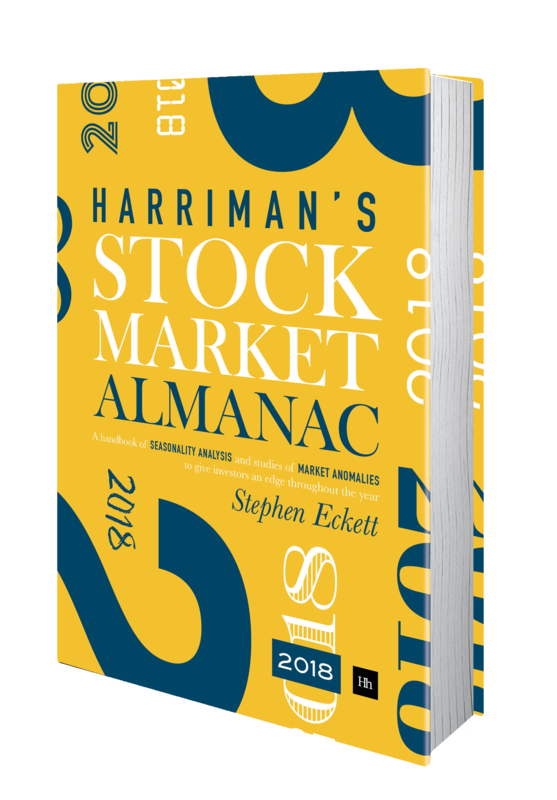 As explained in the 2014 edition of the Almanac, the market has a tendency to be strong on the FTD of a month. And this effect has been even more pronounced in recent years. 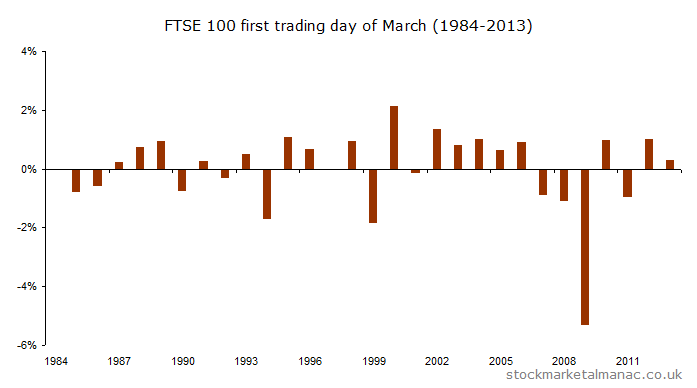 Since 1984, the FTSE 100 Index has a return average of 0% on the March FTD, which makes it the second weakest FTD of the year. However, as can be seen from the chart, the average performance is greatly influenced by the fall of over 5% on the March FTD in 2009. The following chart shows the returns for every March FTD since 1984. This entry was posted in Day analysis, March, Market and tagged FTD, FTSE 100, UKX by Almanacist. Bookmark the permalink.